The Brave Thunders are still alive in the 2015-16 NBL season. 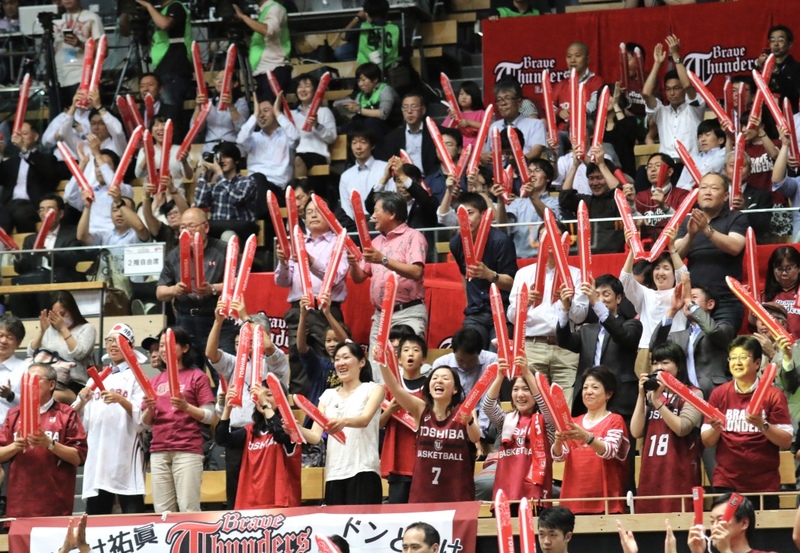 Toshiba managed to avoid a sweep by the Aisin SeaHorses with a 88-73 win in Game 3 of the NBL Finals at Ota City General Gymnasium before a crowd of 2,464 on Monday night. 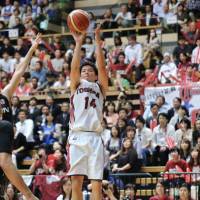 Japanese ace Naoto Tsuji exploded from long range, draining seven 3-pointers in 11 attempts and amassing 30 points. American center Nick Fazekas also had a big night with 25 points for the Brave Thunders. 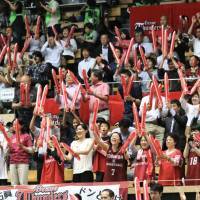 Aisin leads the series 2-1.Game 4 of the best-of-five title series will begin at 3 p.m. on Saturday at Yoyogi National Gymnasium No. 2. 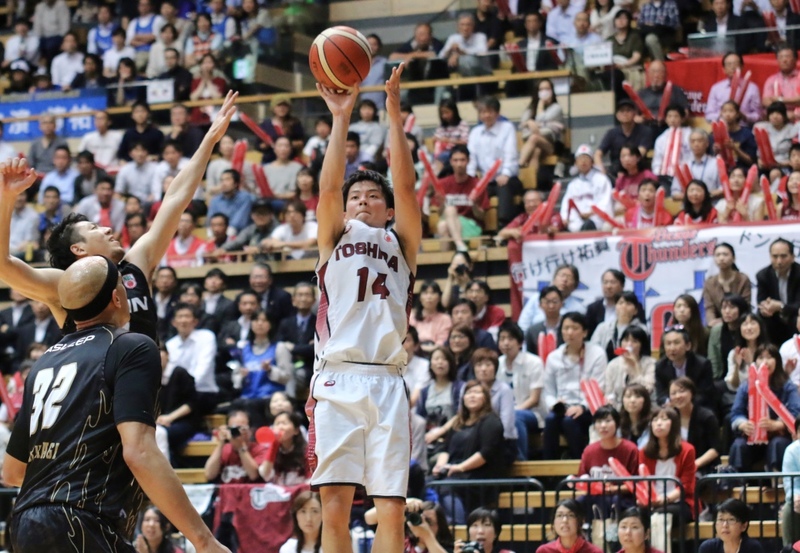 Led by Tsuji and Fazekas, Toshiba’s offense finally clicked against Aisin’s stingy defense in the finals. The Brave Thunders got off to a 13-4 start and had the momentum early. Aisin trimmed the deficit to two, at 39-37, by halftime. But Tsuji nailed four 3 pointers and racked up 17 points in the second half alone, providing a big boost for the Brave Thunders. With less than three minutes remaining in the game, Tsuji knocked down two consecutive shots from behind the 3-point arc to give Toshiba a 84-71 lead and seal the victory for the Kawasaki-based club. Tsuji said he didn’t make many substantial adjustments after the previous two contests, in which the Brave Thunders were completely outplayed by the SeaHorses, but made an extra effort to get himself in open space for jumpers. Aisin sideline supervisor Kimikazu Suzuki said his team played just fine defensively, but allowed the Brave Thunders’ ace players, Fazekas and Tsuji, to dictate play a little too much. Suzuki said the SeaHorses will have to forget their margin for error and play as if they can’t afford lose another game. “We are going to have to get ourselves ready to win the next one,” he said. For Aisin, American center Isaac Butts put up 18 points and 15 rebounds, while big man Gavin Edwards had 14 points. Even though there wasn’t a day off after the previous game, the Brave Thunders looked like a completely different team and played with much more energy in Game 3. 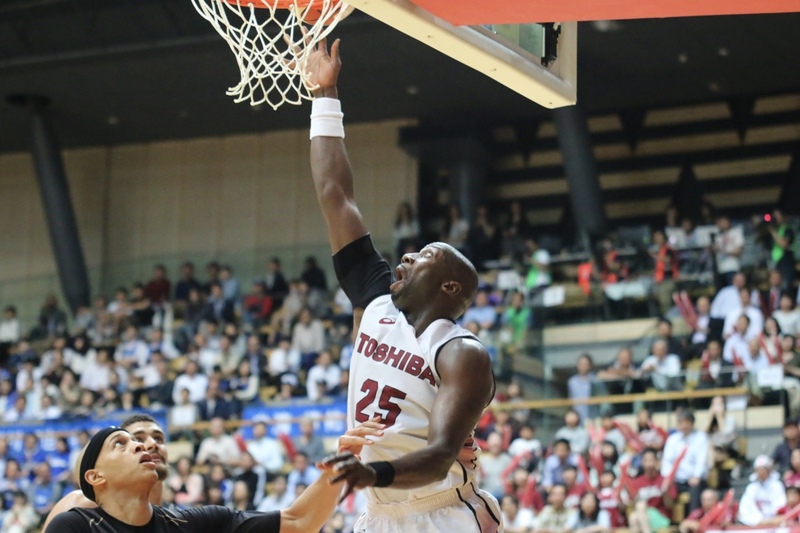 Toshiba was in an attacking mode defensively as well, and had six steals. 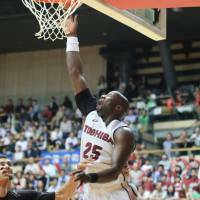 Diouf chipped in with 12 points, eight of which came in the fourth quarter, and eight rebounds for the Brave Thunders. “We played hard as a team. We gave what we had out there today, and I’m glad we got the win,” Diouf said.